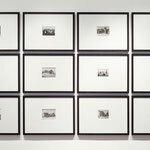 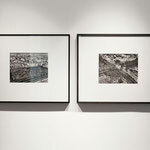 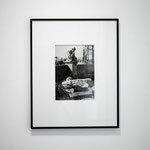 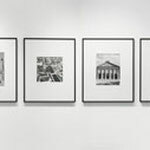 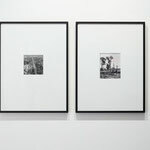 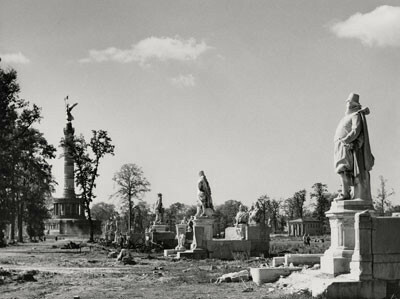 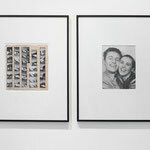 Collection Regard in Berlin quietly unleashes the work of Hein Gorny (1904 – 1967) and Adolph C. Byers (1913 - 1974) in a long overdue tribute to the photographers' pictorial excursion through the ruins of post World War ll Berlin. 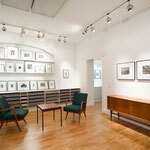 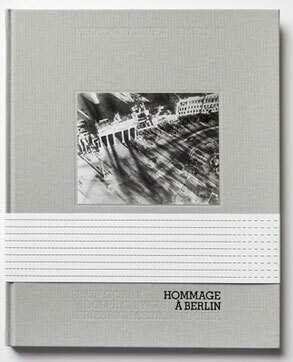 Hommage à Berlin - Photographs 1945/1946 - Hein Gorny, Adolph C. Byers and Friedrich Seidenstücker entitles both the exhibit and the publication made available to the public this May by the Berlin collection, 65 years after the inception of "In Memoriam", an uncompleted book of Gorny and Byers' work. 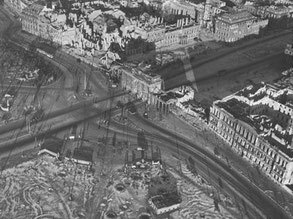 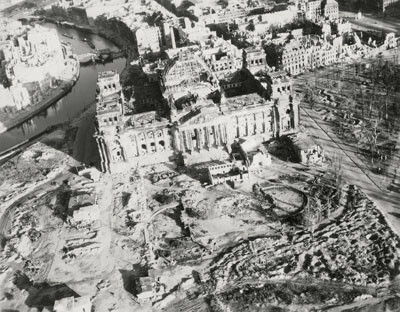 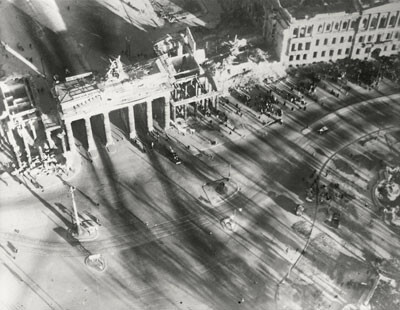 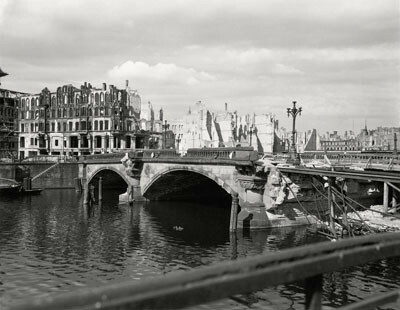 In 1945, the German photographer Hein Gorny collaborated with the American Adolph C. Byers on an adventurous and, for the time, nearly unimaginable photographic excursion that resulted in unique aerial photographs documenting the city of Berlin and it's destruction in the aftermath of the war. 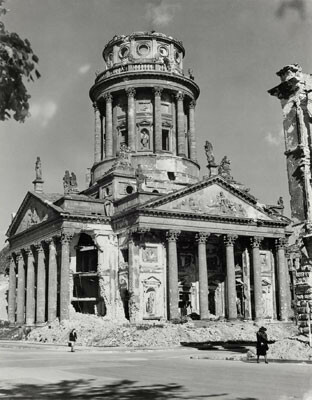 With an imagistic sensibility rooted in the New Objectivity - in which Gorny had already distinguished himself through much-publicized animal and advertising photographs - as well as dramatic contrasts of light and dark, the ruins of formerly imposing structures are impressively sketched. 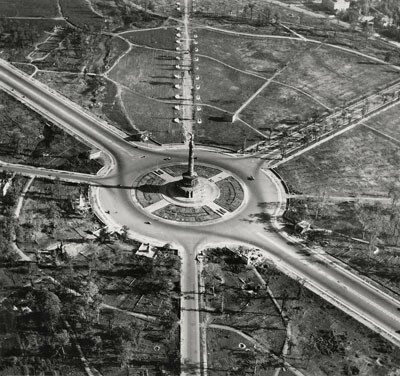 In part due to their artistic arrangement as well as the unusual aerial views, the traditional repertoire of Berlin views such as the Brandenburg Gate, the Reichstag, the Gendarmenmarkt and Alexanderplatz are especially impressive and beautiful. 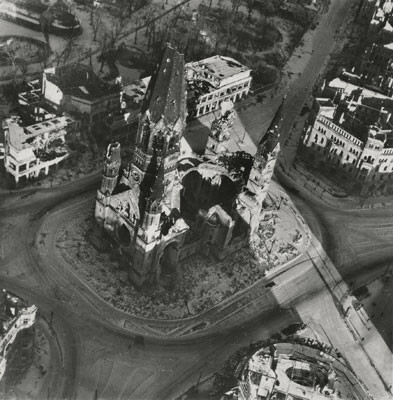 Gorny also sought out less well-known structures - such as the Kaiserhof, the Ahmadiyya Mosque in Berlin-Wilmersdorf and the Gasometer near Victoria Luise Platz. 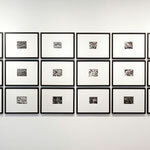 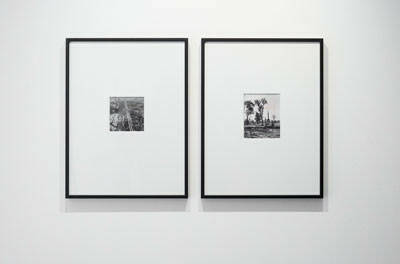 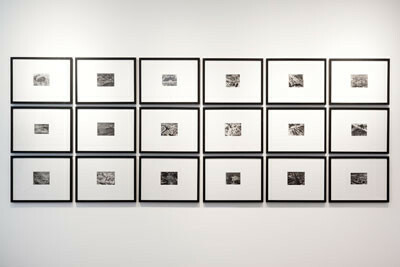 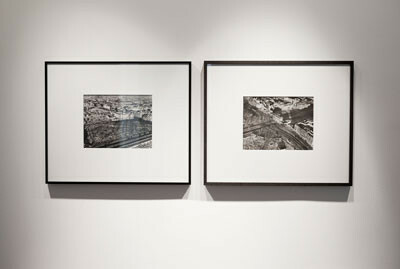 The aerial photographs are augmented with photographs taken by Gorny andByers on the ground. 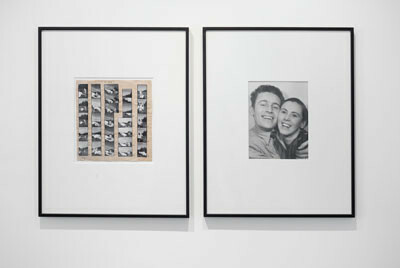 With further photographs from animal photographerFriedrich Seidenstücker - considered one of the pioneers of the unpretentious Street Photography genre, Gorny and Byers created a distinctive, powerful and sensitive collection of post war testimonials. 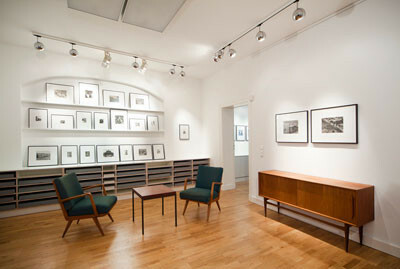 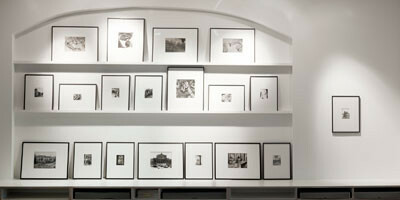 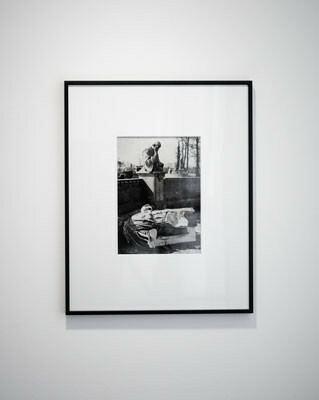 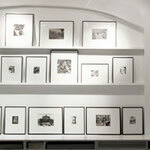 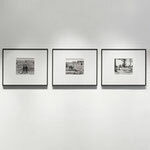 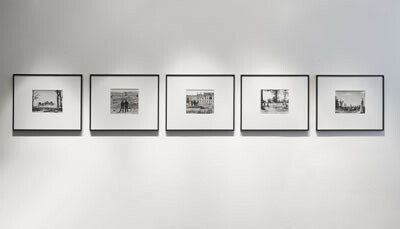 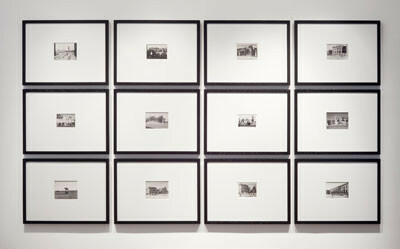 All 80 silver gelatin photographs are part of Marc Barbey's Collection Regard.